Creating a motivated and skilled workforce that can achieve business goals. 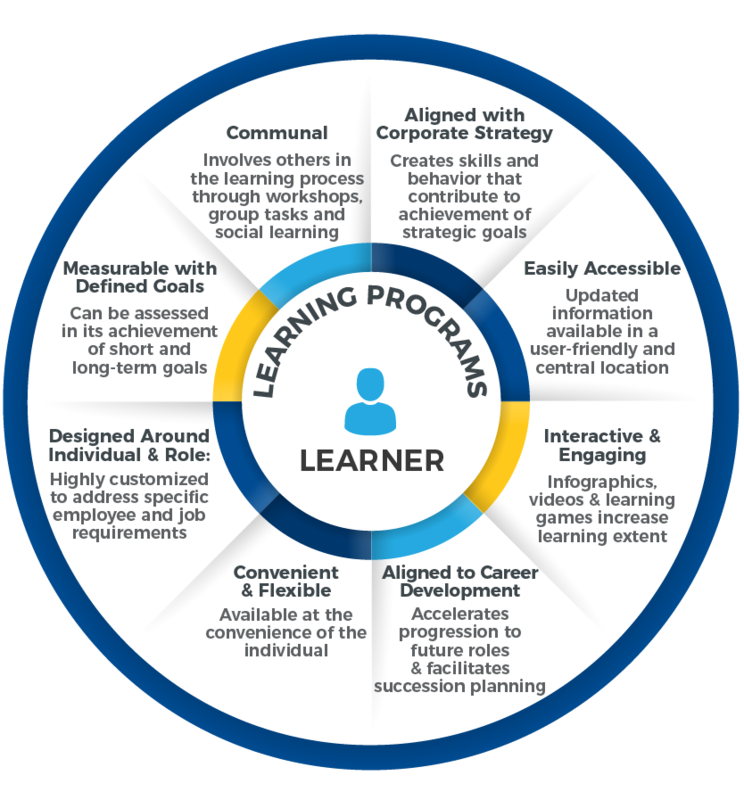 Our approach to learning focuses on helping both the organization and individual to succeed, by aligning the drive to learn with company goals. We create enriching learning experiences that influence the way people think and behave, through customized programs that fit organizations needs, cultures, and learner profiles. Our training needs analysis involves a thorough understanding of the organization's culture, learning readiness and industry trends, in order to determine the best training approach and methods.Following a blended learning approach, our programs use a variety of formats and methodologies, and integrate experiential learning tools designed to maximize learner engagement. Talk to a learning specialist to discuss the best training options for your workforce. Engaging learning programs tailored to your business and learning objectives, and delivered by top industry trainers and subject matter experts. We offer cost-effective digital learning solutions for trainees in various locations, that engage learners through interactive tools and media. We help create one-to-one learning relationships that facilitate knowledge sharing and provide guidance on career development and goal achievement. Customized to specific learning needs, our instructional design creates interactive and visual learning experiences with experiential tools.